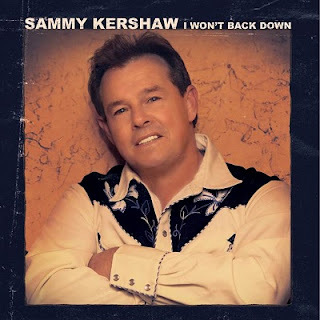 NASHVILLE, TN (May 27, 2015) – On June 9th, Cleopatra Records will release Sammy Kershaw’s first album of new country material in five years, I WON’T BACK DOWN. Kershaw is available for phone interviews leading up to the release as well as in-person interviews in Nashville could be arranged. The Louisiana country crooner was a mainstay on country radio throughout the 90’s with hits like “Cadillac Style,” “She Don’t Know She’s Beautiful” and “Third Rate Romance.” Kershaw has more recently recorded a tribute album to his friend and childhood idol George Jones, a Christmas album and a compilation album with Aaron Tippin and Joe Diffie. With a legacy that stretches across three decades, encompasses gold and platinum sales Kershaw continues to travel coast-to-coast on tour throughout the year.